Lisa & team aim to give prompt and efficient service to their clients, listening to and interpreting their needs and budget. They work closely with the client, builder and other consultants to achieve the best possible outcome. They are keen to undertake all type of work including new homes, renovations to existing homes or buildings, multi-residential, commercial & community projects. 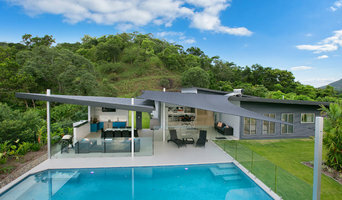 Their reach extending up and down the east coast of Queensland, with recent projects in places such as Brisbane, Mackay, Townsville & Port Douglas. We are professional structural and civil engineering and building design consultants. Our business is locally owned and operated in Cairns and our services extend across the tropical region of Queensland, Papua New Guinea and the South Pacific. The whole design and engineering process are carried out ‘in house’ and can extend from ideas and schemes to construction documents, development and building approval, project management, and certifications. bàlay Vandyke is the coming together of two prominent Cairns based building design studios ~ bàlay Building Design & Chris Vandyke Designs. We specialise in open plan buildings that are drawn from Tropical, Asian and Mediterranean influences and formed to suit a distinctively Australian style. We are passionate about creating low impact buildings with a small environmental footprint, utilising passive solar design, shading and environmentally sustainable materials. Extensive client consultation results in a personal approach to each client's requirements within the environmental context of their property location and orientation. To achieve a successful indoor / outdoor living experience we pay particular attention to site conditions to ensure that mechanical cooling and heating is kept to a minimum. We offer a full range of services including conceptual design, 3D visualisation, structural drafting, interior design, tender evaluation and project management throughout the construction phase. Our wide ranging experience encompasses the design of resorts, schools and mostly private homes on the beach, in the rainforest, on top of mountains, nestled in valleys and secreted amongst suburban sites. Boutique Building Design Studio specializing in concept designs for houses, renovations and extensions, and structural documentation for building approval. The business manager has lived in Cairns for over 25 years and is well experienced in designing to our tropical climate and to suit all tastes in architecture. Killeen Design is a Cairns based professional building design service dedicated on providing high quality, client specific designs solutions. With our extensive knowledge on tropical & sustainable design, we’ll provide an innovative design for you. Our services range from new residential buildings, renovations/extensions to commercial development, and we cater from drafting or sketch design solutions to producing construction documents and contract administration. With over 12 years in the building industry, Killeen Design has built a strong relation between builders and specialist consultants, to enable us to provide quality projects every time. 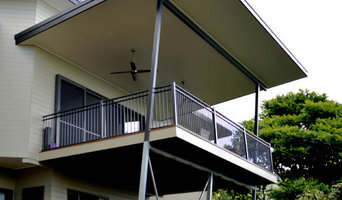 At Unique Constructions, our sustainable homes are designed to be practical, comfortable, low maintenance and low cost. 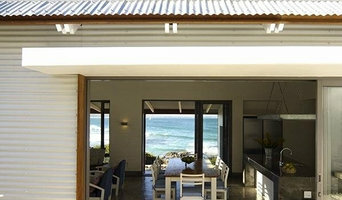 Sophie Pedersen Design is a full service interior design and building design practice based in Trinity Beach. With a background working in high end architectural and interiors practices both locally and in London Sophie, offers her clients a wealth of knowledge and experience in all facets residential and commercial design. Designing Unique Homes & Renovations. I offer a personal service to design and document your project. I perform all of the work myself and believe that good design and detailed documentation is the start to an enjoyable project. Study 4 Skills are committed to providing Australians innovative courses that can equip them with the skills to get the real results! With Nationally approved courses that are eligible for Vet Fee Help you can study online at your pace, stress free! 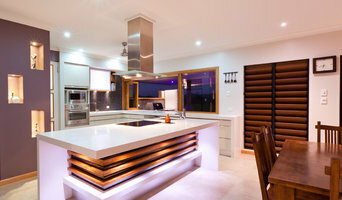 As with all other professional services for home design and renovation, the best way to choose a building designer in Cairns, Queensland is to asses their past work against the style and requirements you have for your individual project. The role of building designers has evolved from traditional drafting services to building design that takes into account your lifestyle, budget and site condition. 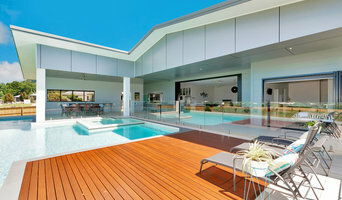 Building designers in Cairns, Queensland also often work with contractors to ensure that structural elements are in line with desired aesthetics. Once you have a shortlist of building designers in Cairns, Queensland, engage in face-to-face talks about your brief, to ensure you’re on the same page. To get the most value for your money, you want someone who understands you, agrees with your ideas – in relation to sustainable design, space and function – and has the qualifications and enthusiasm to translate ideas to paper and into a reality. Look through Photos of house designs to find projects similar to your brief. Then, click through to the professional responsible for your favourite picks, browse their latest projects and read reviews. Once you’ve created a shortlist of Cairns, Queensland building designers, strike up a conversation with each one and you’ll be one step closer to the house of your dreams!